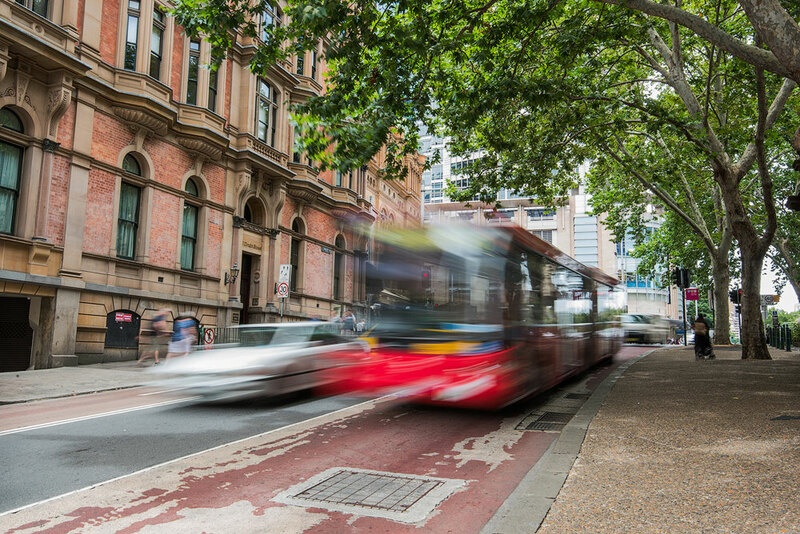 Shutter speed is one of the key settings every photographer needs to understand. There are fifty-two (up to 1/4000 sec) or sometimes fifty-five (up to 1/8000 sec) possible shutter speeds excluding Bulb mode. How to understand which shutter speed is the best one for your scenario? This is when Shutter Speed Chart comes to help. Here is the kicker: Two Infographics in the middle and at the end of this article. Every DSLR camera has the shutter, which is like a non-transparent curtain. When you press the shutter button, it opens and lets the light in through the lens into the camera. When it closes, no light comes in. The name for the time between opening and closing is “a shutter speed”. Another name for it is exposure time. Exposure time allows both creative and technical control over your photo. 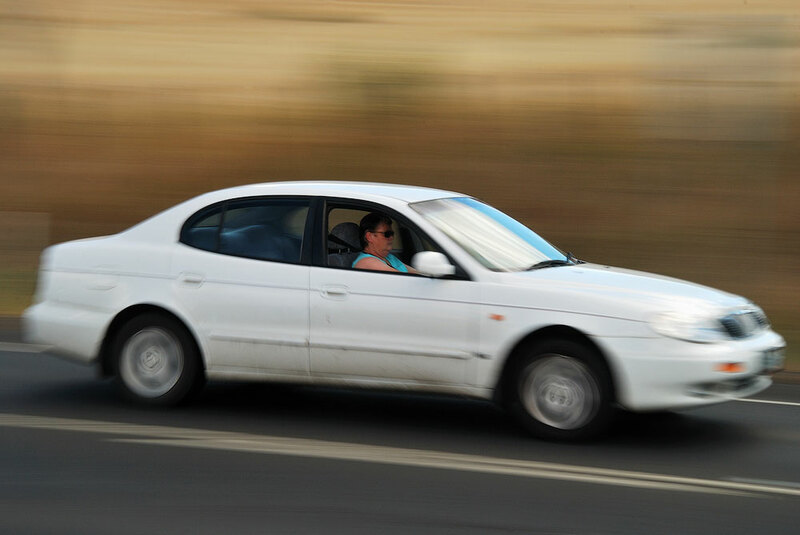 Shorter shutter speed can freeze any moving object, while longer shutter speed can smooth or blur the subject. You may be wondering: How do I use it? Read further to the shutter speed chart below. There is no set line between fast and slow shutter speed. Typically, fast shutter speed refers to all fractions of a second and slow shutter speed as everything from 1 second upwards. Sometimes speed slower than 1/10 means slow as well. There are two ways of presentation of the shutter speed. For all values below 1 second, it shows as a fraction of a second. For all values of 1 second and above it shows as whole seconds. As an example, 1/200 means one two-hundredths of a second. On the camera, it shows as 200. Another example is 20 seconds, which shows as 20″ on the camera. The double quote is a math symbol that stands for the seconds. Many of the DSLR cameras these days have the “Bulb” shutter speed mode. In bulb mode, you can get any shutter speed up to 30 minutes. The camera will keep the shutter open until you release the shutter button or in case of a remote control until you press it for the second time. Shutter speed is one of three parameters making together an exposure triangle. If you double your exposure time, the amount of light reaching the sensor also doubles. This twofold increase is equal to +1 exposure step, making the resulting image brighter. In the same way, if you make the shutter speed twice faster, then it equals to -1 exposure step, making the resulting image darker. 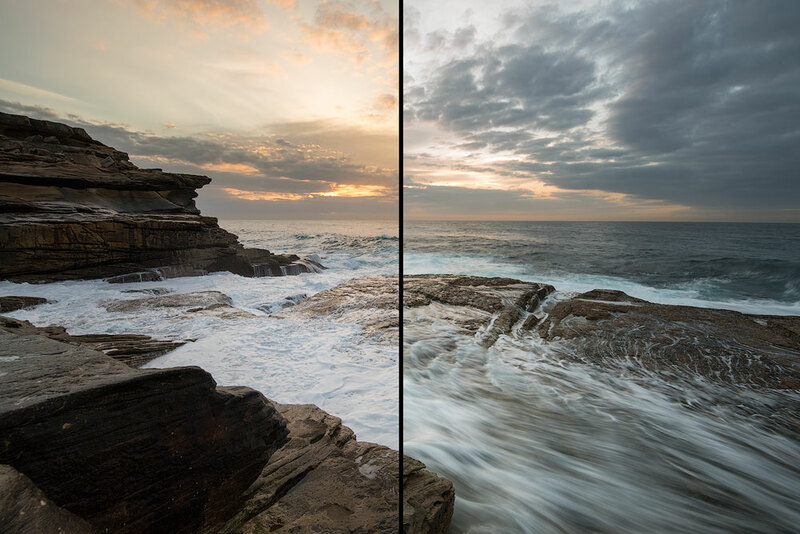 To keep the brightness on the same level, you need to adjust either aperture or ISO to compensate. Shutter speed controls the amount of time the sensor is exposed to the light. During this opening time, the picture we are trying to photograph can change its place. That’s why some of the photos become blurred – just because they changed place while the sensor was receiving the light. So every time before creating a photograph we must think in advance what effect we want to make. Sometimes we want tack sharp wave with all water drops visible. At other times we long for the silky smooth water. Both short exposure and long exposure are neither good, not bad. Each of them can be right in certain situations. 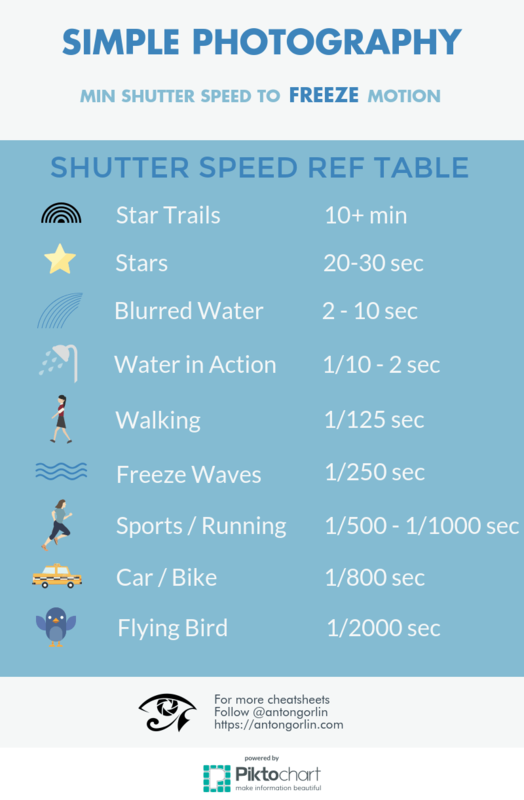 Many photographers include the full chart of all possible shutter speeds starting from 1/8000 and ending with 30 seconds. But, seriously, why? I never saw any benefit in that other than people trying to look smarter. All you need to know is that doubling exposure time is +1 step; halving is -1 step. One step is three clicks of the wheel on your camera, 1/3 per click when you rotate them. To compensate, you should apply the same amount of clicks on aperture wheel. That’s all the magic. Instead, I’ll try to keep the shutter speed chart simple and easy to remember and to reference. 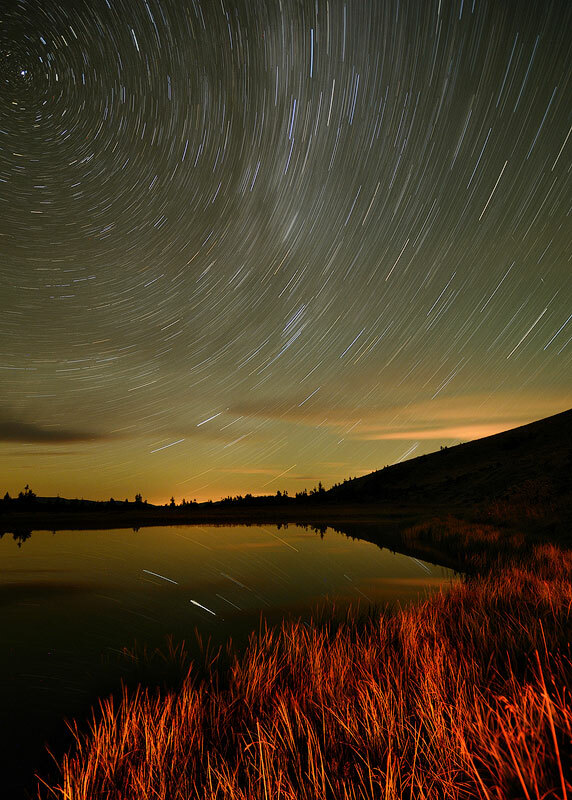 To get decent star trails you need at least 10 minutes exposure time. Using this technique, you could capture the movement of the stars, which form lines, so-called star trails. Of course, it is not because the stars fly around like crazy, it is because the Earth rotates. To have exposure time longer than 30 seconds, you will need a remote for your camera. Alternatively, you could create multiple 30 seconds photos and then combine them later into a single seamless picture. Nikon D7000, Nikon 10-24 mm. EXIF: f/3.5, ISO 100, 30 minutes single shot exposure star trails. For the longer trails, you will need several exposures to blend later. 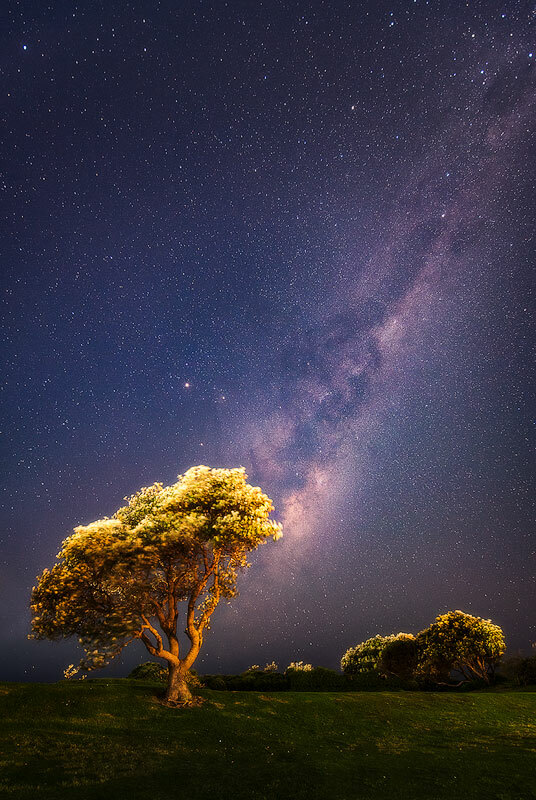 There is a well-known “500 Rule“, which could be used to determine approximate maximum shutter speed to have more or less sharp stars. This rule states that the max exposure time equals 500 / effective focal length. Please refer to the Effective Focal Length Calculator article on how to calculate your EFL for the crop cameras. This rule is an approximation but will work for most cases. To blur a body of water, you need some decent shutter speed. At least 2 seconds. The more action in the water, the more blurring time you will need. The right amount of blur requires some experimentation. 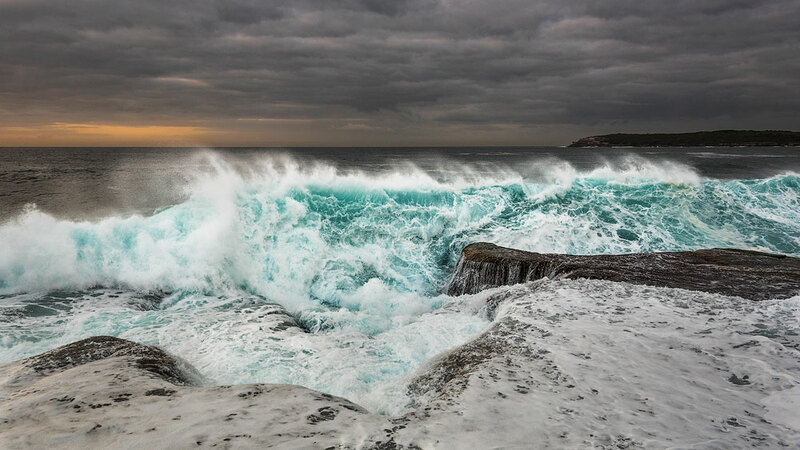 Have you seen those pretty seascapes with the streaks of water turning into the white foamy lines? Or a bit smoother water to make it not as messy? Or a waterfall, which is not yet foggy soft? 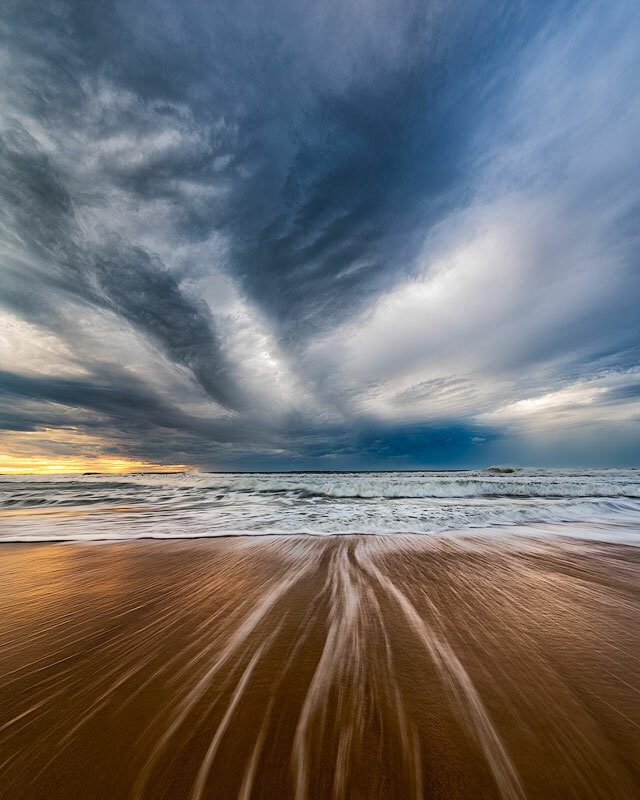 For the moving water, you need exposure time from around 1/10 to 2 seconds. Everything above that will start to produce the fog effect. 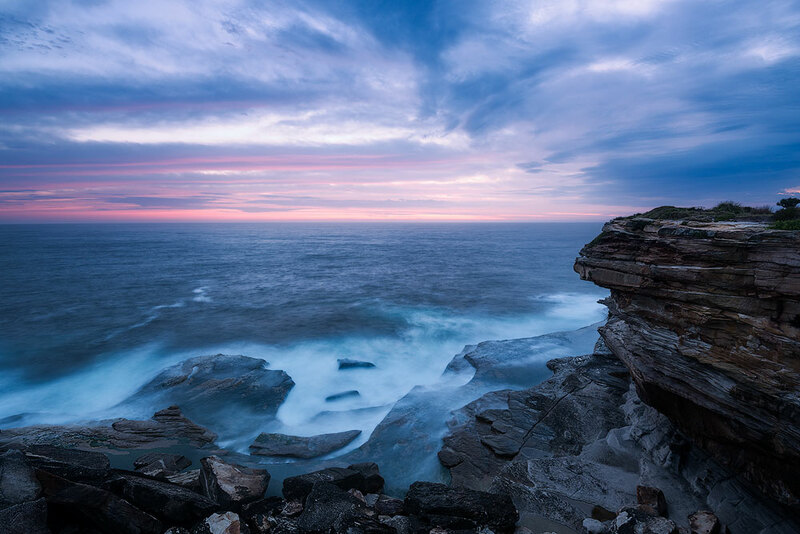 By the way, there is a large guide to Seascape Photography on my blog. Please check it out – https://antongorlin.com/blog/seascape-photography-ultimate-guide/. 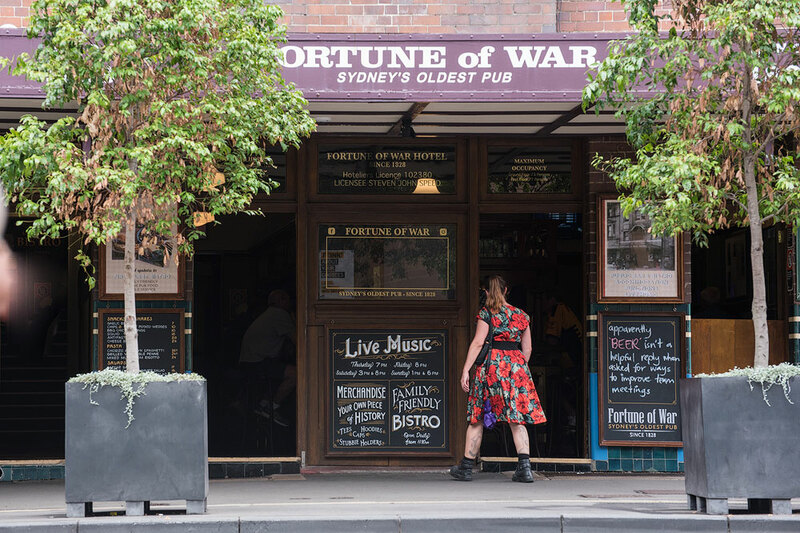 To make a photograph with a walking person perfectly sharp, you will need a shutter speed of at least 1/125 or faster. Of course, the direction and the distance will also affect the required shutter speed. In general, shutter speed of at least 1/250 will do the job, but sometimes waves can move much faster, especially if they are big enough. Also, the more you zoom in, the faster shutter you need. Please refer below to the next chart for the water shutter speed chart. Sports differ in the amount of action. You won’t need a super fast shutter for some moderately old golf player, for instance. 1/500 – 1/1000 is a good starting point for any sport. If you are not planning to pan the movement, then you can start anywhere from 1/800. Panning is when you move your camera together with the moving subject so that the subject stays in focus while all background blurs from the movement. In case of panning, you can start experimenting around 1/15 – 1/60. Otherwise, just to freeze a moving car of a bike, try 1/800 and faster. Nikon D80, Nikon 18-135 mm. EXIF: f/22, 66mm, ISO 100, 1/20 sec. Let’s rule out the need to focus on the flying bird because it is an entirely different story. I could never understand how wildlife photographers do it, do they have some superpowers… Anyway, you probably know that the fastest animal is the cheetah, which is wrong. Cheetah is the fastest running animal. The overall fastest animal is a Peregrine Falcon, which can reach 320 kph during the dive. 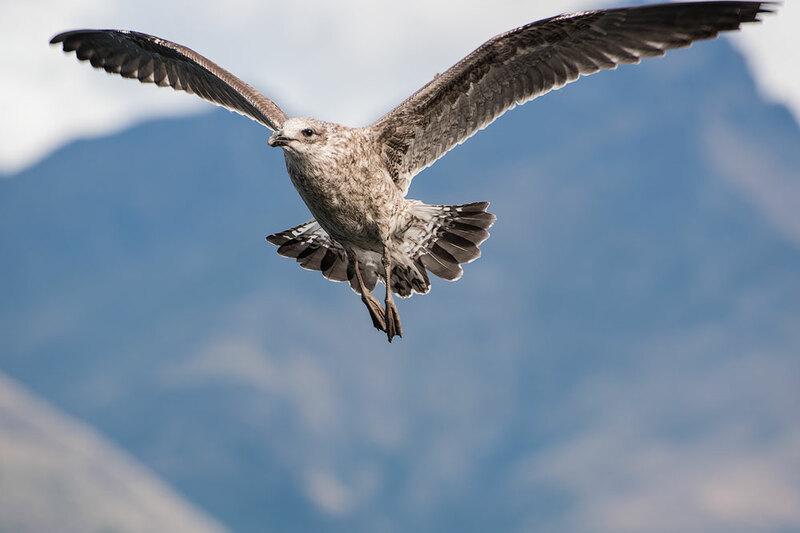 This speed means birds are way faster than anyone else. For this reason to get a sharp photo of a bird, go crazy – at least 1/2000 sec. Nikon D750, Nikon 70-300 mm. EXIF: f/6.3, 240mm, ISO 200, 1/500 sec. Ok-ok, I know. I told you to use 1/2000, but this bird caught me completely off guard and I didn’t have time to set the proper settings and the bird is not super sharp. If I had ten more seconds, I would raise ISO to 400, lower f/6.3 to f/5.6 or even 5 and make the shutter speed faster. As you probably know I’m fond of sea and ocean photography and therefore, as a bonus, I have created yet another infographic. 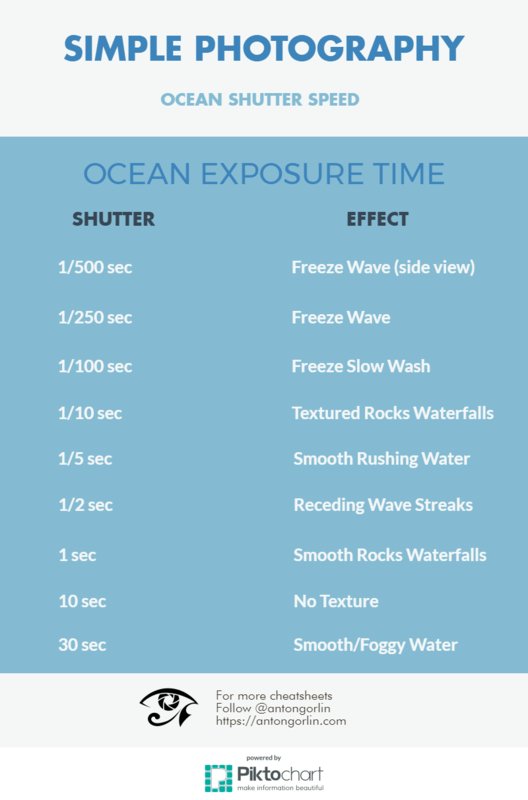 This infographic is about the ocean shutter speeds. Not sure if the second shutter speed chart requires more samples. What do you think? Will leave it like this for now. DISCLAIMER: All shutter speeds in the tables are for your reference and may vary depending on the weather. For instance, a creek may be slower than a river and the cloud speed may vary a lot. Use these values as a starting point and experiment from there. Icons made by smashicons.com from www.flaticon.com.